Crafty giveaways don't come better than this! 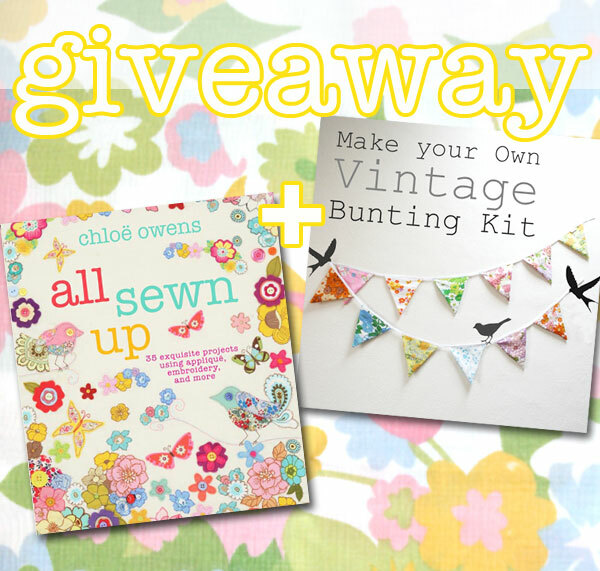 To celebrate the inclusion of My Poppet's Vintage Bunting Kit in the new book by Chloe Owens, All Sewn Up, we are giving away a signed copy of the book and a bunting kit to one lucky winner. 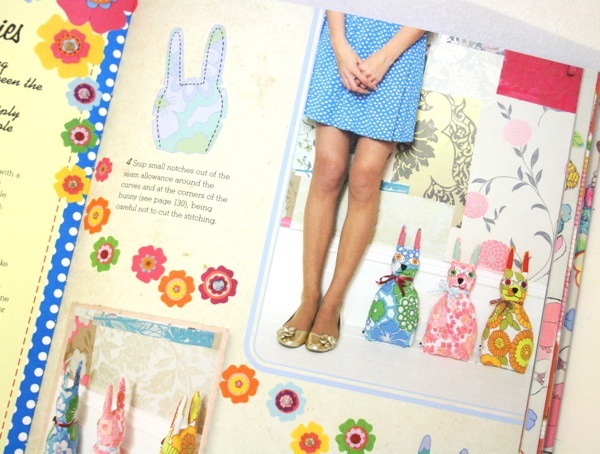 Like me, Chloe loves using colourful vintage fabrics in her projects. She combines them with contemporary prints and free style machine embroidery to create beautifully textured pieces. "My Poppet has the most delicious array of vintage and handmade goodies! 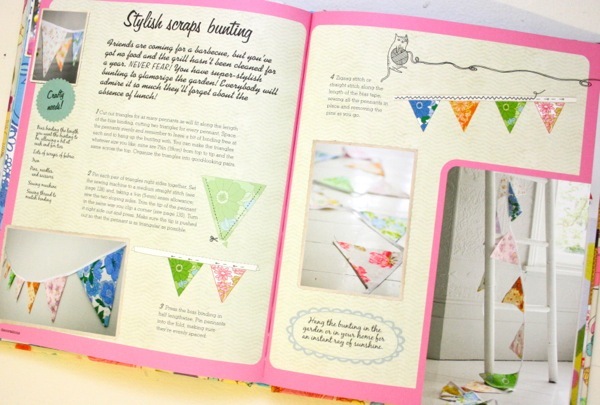 I thought the 'make your own vintage bunting kit' would fit perfectly within All Sewn Up for the 'Stylish Scraps Bunting' project as a lovely alternative to sourcing and cutting out your own"
So to be in the running to win this great prize, leave a comment on this blog post telling me about your proudest crafting moment. What did you make and why was it so special to you? Winner has been chosen by Chloe and is PJ Edwards - Congratulations!